How many of you agree that food just tastes better when it’s on a stick? From traditional skewered meats like kebabs and satay, to more recent inventions like cake pops, pie pops…you name it, it seems pretty much anything can be served on a stick nowadays! A couple months ago, I went to a Night Market, and tried a Hurricane (or Tornado) Potato for the first time. It’s a Korean street food that’s been around for a few years now. It’s basically a spiral-cut potato on a stick, deep fried and then dusted with a powdered seasoning of your choice (I chose sour cream and onion). Pretty simple idea, right? But somehow, it tasted better than just regular fries. So if you like prawns, you’ll surely enjoy them even more when you make prawn skewers! This is a simple and incredibly tasty appetizer that you can whip up in no time. These succulent prawns are always a crowd pleaser. Of course, it’s the aïoli that really makes the dish pop! These prawns are served cold, which is especially nice in the summertime. However, you can also enjoy them hot off the barbecue. Note: Make sure to soak the skewers in water for at least 30 minutes before threading the prawns. This ensures that the wood doesn’t burn while grilling. 1) Combine oil, cayenne pepper, cumin and salt in a bowl. Stir to blend. Add prawns and stir until evenly coated. 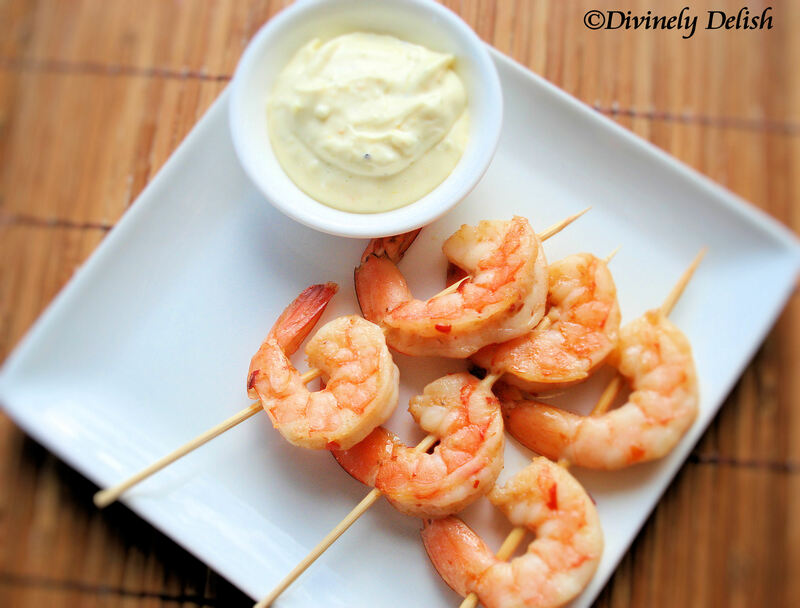 Slide prawns onto skewers. 2) Place skewers on a greased grill over medium-high heat. Close lid and grill for about 4 minutes, turning once until prawns are pink and opaque. Remove to a plate and refrigerate until chilled. 3) Combine aioli ingredients in a small bowl. Stir to blend. 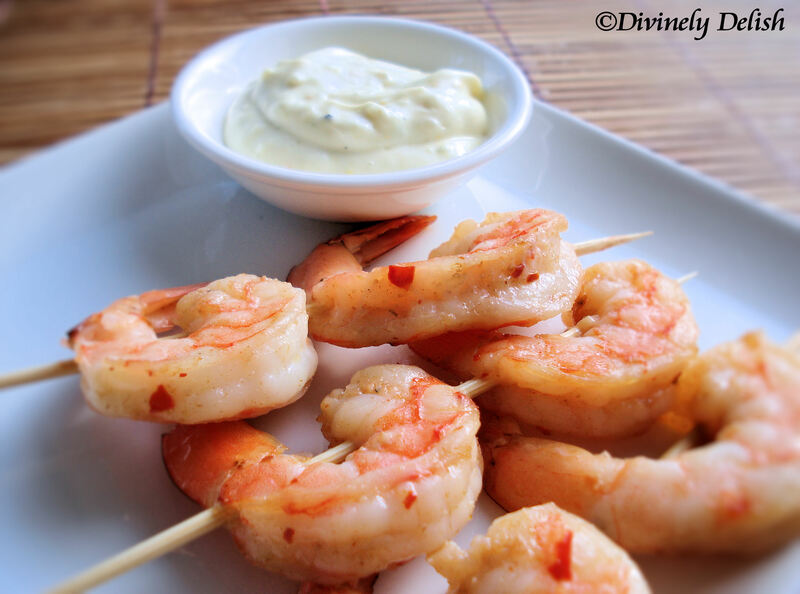 Serve alongside prawns for dipping.